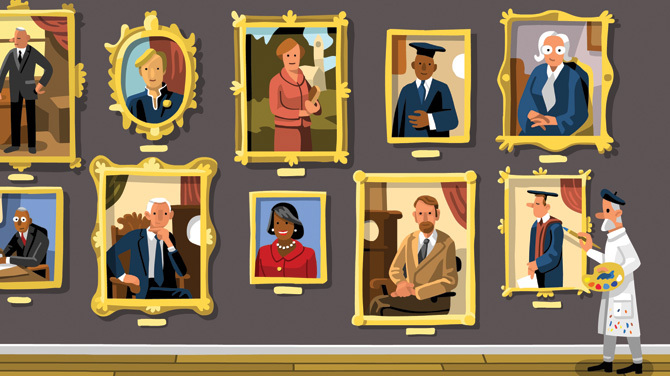 What does it take to be a successful university president? Earning a UT Arlington degree appears to be a good first step. Beyond that, it depends on whom you ask. At least 10 alumni currently lead institutions of higher education, including large public universities, small private colleges, and seminaries. For Montana State University President Waded Cruzado, being a good listener has proved invaluable. When she became MSU’s 12th president in 2010, she embarked on a yearlong, statewide listening tour. “The willingness to be a servant-leader, a concept I learned at UTA, is also vital,” says Dr. Cruzado, who received a master’s degree in Spanish in 1984 and a Ph.D. in humanities in 1990. Thinking strategically is key for Scott Scarborough, who became president of the University of Akron in July. A strong doctoral program in strategic management attracted him to UT Arlington’s College of Business. Sam Houston State University President Dana G. Hoyt relies on business acumen to navigate the shifting landscape of higher education. She believes understanding the financial aspects of a university is crucial. The investment has paid off for Hoyt, Scarborough, Cruzado, and the other alumni who hold top university posts. They are Daniel Akin ’89, Southeastern Baptist Theological Seminary; Emir Caner ’99, Truett-McConnell College; Barry Creamer ’00, Criswell College; David Dockery ’88, Trinity International University; Marcia Hawkins ’87, ’00, Union College; Michael Reeser ’06, Texas State Technical College System; and Jesse Rogers ’63, Midwestern State University.